Home > Destination > Central Highland right in Hanoi, can you believe? If you are desirable for a journey to Central Highland where is well-known for great forests and mountains along with the space of Gongs culture. You really want to discover life of ethnic majorities here but your condition of distance or finance does not allow you to travel immediately. Do not be disappointed. If you are in the Northern provinces of Vietnam, especially in Hanoi, you need not go far because right in the capital, there exists a destination where tourists can explore culture as well as life of 54 ethnic groups. 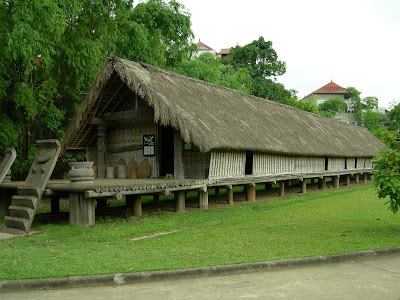 That amazing place mentioned here is Vietnam Museum of Ethnology. 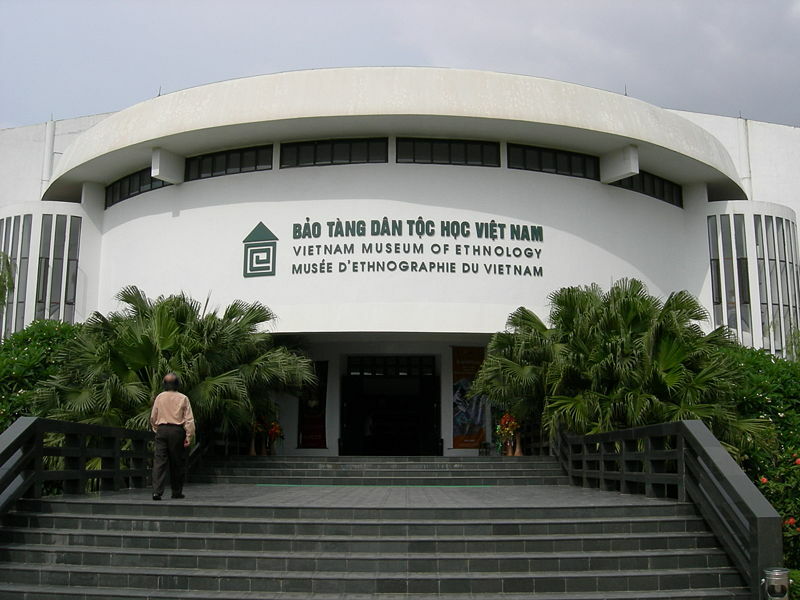 Established in 1997, though a young museum, Vietnam Museum of Ethnology continually has developed strategies for cultural value promotion. 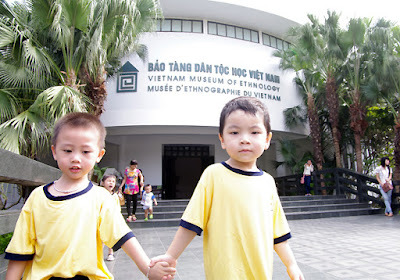 As a result, the museum becomes one of the most appealing Asian museums, ranking 6th in Top 25 according to the No.1 tourism website of US-TripAdvisor.To visit the museum located in Nguyen Van Huyen is very simple. You can catch Bus No.12 with a reasonable ticket 7000VND or if you have a motorbike or bicycle, it will be more awesome because you can admire the charming and beautiful sightseeing along two sides of street and definitely you will feel stronger and unbelievable about your strength. 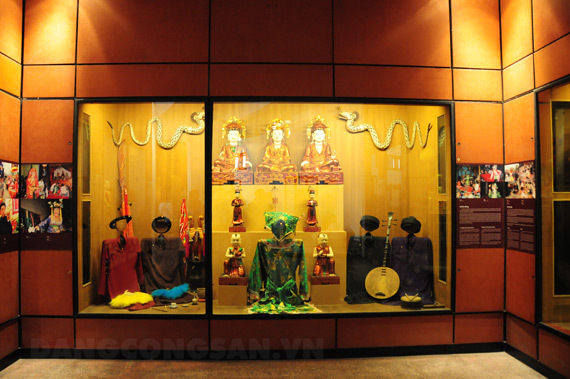 Very simple daily displayed items and photos depicting lives of Vietnamese ethnic groups may be one of the most appealing things of the museum. Entering the main Gate of the museum, tourists firmly will be surprised and overwhelmed by Trong Dong Building. With 2.500 hectares, this building’s architecture is very special because of the stairs joining floor like one of a house on stilts. 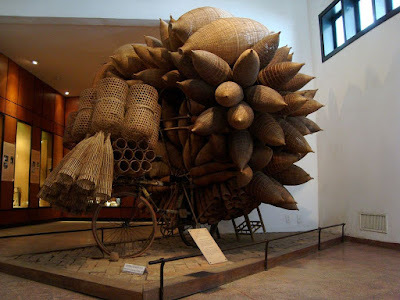 Here, items which are really simple and close: weaved baskets, food plate, scarf or ethic costumes are displayed scientifically and arranged in each content or each ethic group. Besides, specific guidelines of history or meaning in many languages such as English, French provide international tourists with a concrete and deep understanding. Another attractive space is outdoor area which keep tourists staying long due to amazing natural views, open space and some buildings bringing the image of Vietnam ethic majorities. This area contains 10 unique architectures such as Nha Rong of Bana people, Nha Mo (for the dead) of Gia Rai people .etc. 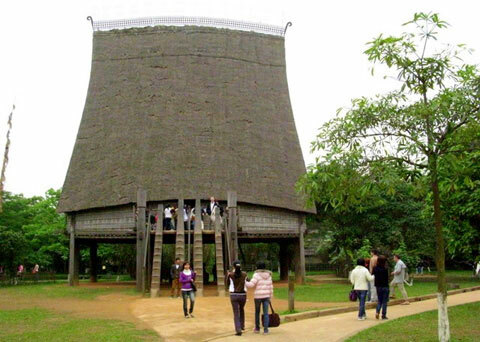 Besides, there are rice- pounding mill used water power of Dao people and other items as labour tools. 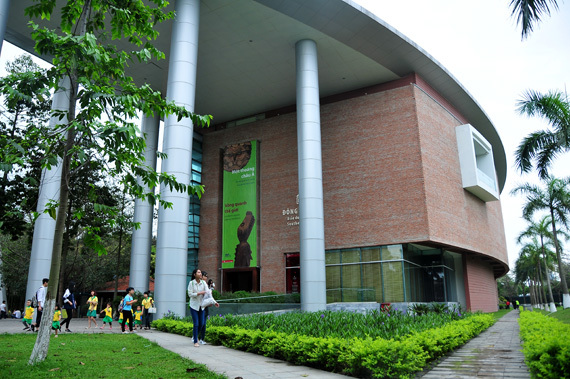 Not only introducing cultures, history and lives of Vietnamese ethic group, in 2008, the museum built the Asian Southeast display area in which many exhibitions of arts involving Asian Southeast people occurred. 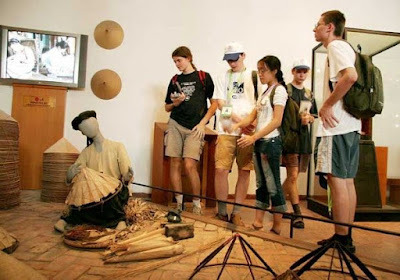 That creats more attraction of the Museum to tourists and acts as a bridge of culture among people to exchage and acquire and understand each other. In 2012, Vietnam Museum of ethnology welcomed more than 400000 visits. Up to now, the number keep rising at a high peak. If you want to become one among tourists. 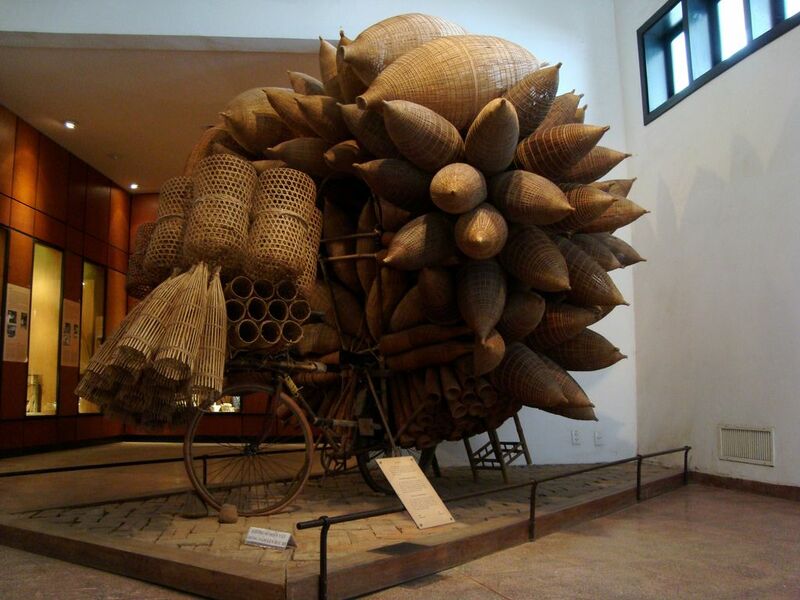 Register with our company Vietnam Typical Tour to discover Central Highland right in Hanoi.